Home » Windows » VirtualBox and Docker Won’t Run | Because of Windows 10 Hyper-V? Technical Team Leader with 9+ years experience in designing and developing enterprise Solution using Oracle, IBM, and Open Source. With a solid technical and academic background. Strong technical project management experience, coordinate demo's for QA team, performing code, design and test plan reviews. I managed to resolve the issue but not by uninstalling Hyper-V.
After you run the above command, you will see that the property hypervisorlaunchtype is set Auto by default. Restart your PC system to use VirtualBox. You will need to reboot the system to use Hyper-V. Published on System Code Geeks with permission by Ahmad Gohar, partner at our SCG program. 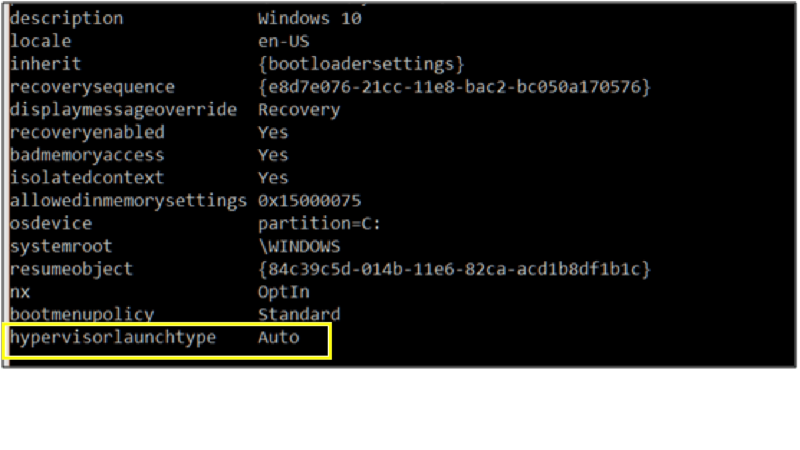 See the original article here: VirtualBox and Docker Won’t Run | Because of Windows 10 Hyper-V?